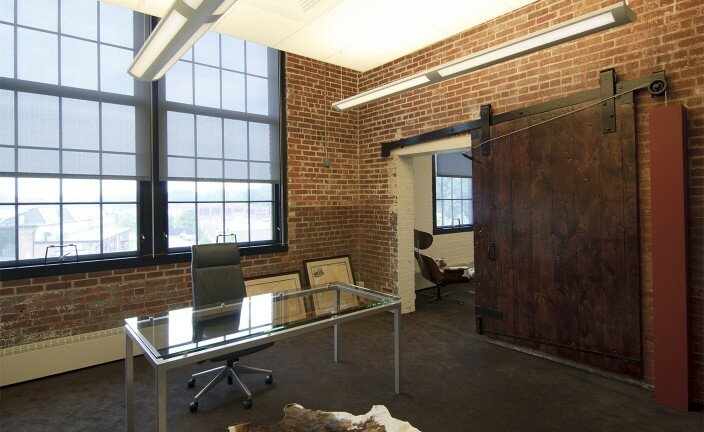 Pannone Lopes Devereaux & West is a professional law practice with offices across the east coast. 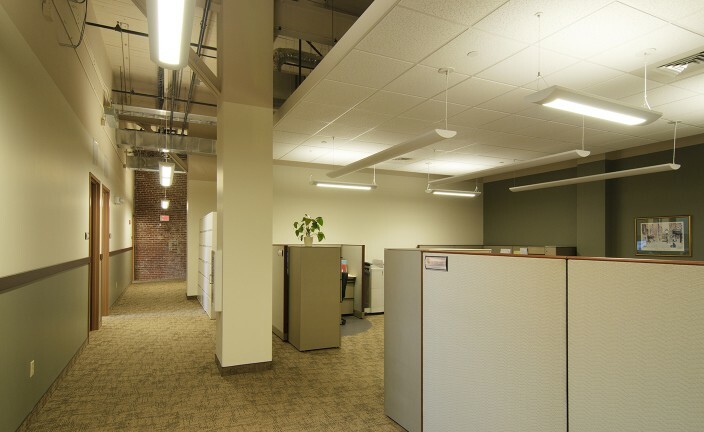 In 2008, LLB Architects was hired to envision an expansion of the offices into the retrofitted American Locomotive Complex in Providence, RI. 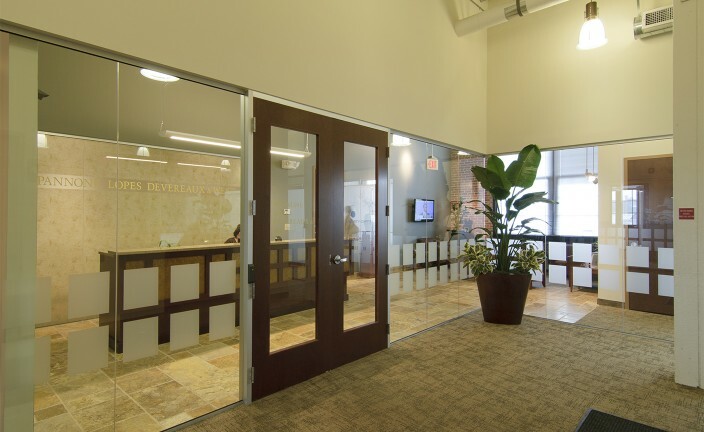 Working closely with the Director of Administration, several options were explored while the original modest 2,200 square foot expansion evolved into almost 9,000 sf including a new reception area, conference and “war” rooms, partners’ offices and a 2,700 sf finished area that was initially intended to be leased to a separate tenant but will soon be absorbed into the rapidly expanding full service law firm. 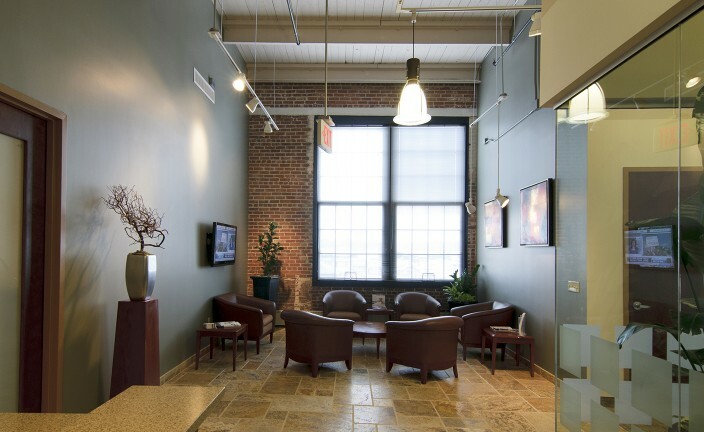 Working within the existing design criteria and context of the mill complex, LLB was able to create an efficient and dynamic space that connects both sides and both ends of the building with a central glass reception area that allows for separate access to the temporary tenant space without distraction from main lobby presence of the Firm. In an effort to be as sustainable as possible, reused items were relocated and adaptively reused and redesigned to create a new feel for the company.